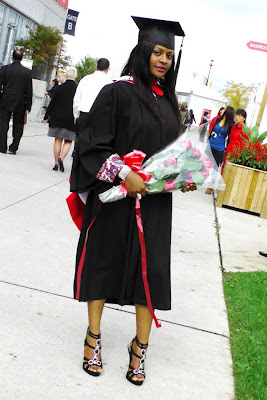 Oby Benson, the beautiful reigning Miss Nigeria Canada has gained admission into a Masters degree program at the prestigious University of Miami where she will be studying International Administration. She already has a Bachelors degree in International Development in Canada. Congrats to her. Weytin concern us na becuz say the girl get beauty and brains. A must learn. Good for her, but beyond passing GRE or is it GMATs, no big deal in getting admission. haba wetin concern us ke? Lol, so there's no relaxer in canada? Why does her front hair look so stronk? @blunt.. LWKMD!.. @Linda.. The girl is beautiful jor. Go girl. @blunt.. LWKMD! @Linda.. The girl is beautiful jor. Go girl. anyways make she no go add puff puff for her little bum bum..that miami so so fake azz surgeons! !..me i don talk my own o!! ibo babes fine ohh,kai,babe i gbadun u.congrats. Fine girl no pimples, i like your style, i like your dimples, simple. People should learn to stop being jealous and haters; start showing some genuine love, respect, and appreciation for the achievement(s) of your fellow sister. Most of us may not know her personally in person, but I do and for the shortest time that I have come to know I am proud of all that she has achieved at her age. For all those haters showing animosity towards her, get a life and go earn a life for yourselves, because this God-gifted and God-given beauty of a woman has earned a life and she is not stopping there; she is still striving to earn more for the better good. With enough said, mere words cannot express all that this talented, smart, and intellectually gorgeous woman has achieved. She reminds me a bit of Freda Edewor. this is not famzin sha ooo.to dose sayn she is not a nigerian,she actually is.she attended ma secondary skul(jephthah comprehensive secondary school) in port harcourt.check the records is u lyk.she is makn it so all u haters out der,get a lyf. so so degree no work in Canada na.. The babe has to use student visa to chill in Yankee..
all she did was take the GRe or GMAT and cross the border. I guess they are announcing this in an effort to stay relevant? one of your many friends sister i guess.....Crap News! Why is this news tho? pple dey go to school everyday.